Integrity Validations Inc is a Background Research Company that offers multiple types of services based upon your needs. These include SSN Traces, Criminal Histories, Driver License Checks, Employment, Education Verifications, Professional License Confirmations, along with Drug and Alcohol Screening. Most of the searches are for pre-employment background checks and tenant screening, but if you have a specific request please don’t hesitate to e-mail us with the information or place a call to speak with us at your convenience. Take a look below for more details on our professional services and learn more about the valuable resources we have to offer you. Everything you need is right here! This type of search is a very important step to help identify key components of the applicants’ history. The SSN Trace matches the person’s name to the particular Social Security Number they supplied, confirming whether it is correct or not. It also shows previous addresses, some addresses of employment, along with addresses of where the applicant may have traveled. Many times it will confirm the person’s date of birth or age. To perform this search we need the name, present address and social security number of the applicant. Approximately 90% of crimes are committed at the county level, which makes this type of search result highly desirable. The United States has over 7,000 courts within over 3,100 counties, which makes this a seemingly overwhelming task. Fortunately, most crimes are perpetrated in the county of residence of the applicant, which narrows this down considerably. By far, the county search is considered the most accurate of all searches. When you receive the results for the county search you will find it reports all felony and misdemeanor records from both the lower and upper court system. A few courts in the country only show felony records, but most courts show both. 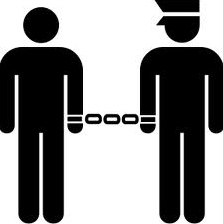 A felony is normally a crime, which requires one year or more jail sentence. On the report we return to you the court(s) searched, file date, case number, offense, disposition, and sentence. The time frame is one to three days. We also recommend running a social trace for higher accuracy. We need from the applicant their full name, address, date of birth and social security number. As a percentage of crime records, the Federal District Court search is low in numbers, but the intensity and seriousness of the crimes charged more than makes up for it’s importance. We highly recommend this as an addition to the County search. There are approximately 94 Federal District Courts. These report crimes that involve the FBI or BATF that would mean involvement with something like bank fraud, embezzlement, credit card fraud, or serious drug crimes. No Federal crimes appear at the County or Statewide level, which shows the seriousness of running this type of search. When you receive the results of the Federal District Court search, it will normally only show back seven years, these are mostly Felony only. We return to you the court(s) searched, file date, case number, offense, disposition and sentence. The time frame is one to two days. We also recommend running a Social Trace for higher accuracy. We need from the applicant their full name, address, date of birth, and social security number. At this time there are no identifiers released by the government. All personal information has been stripped from the files. Once in a while we will find something they missed, but most of the time this is a name match search only, that is determined by where the case is found and if the applicant was in that area at the time. This type of criminal search is probably the least accurate. Supposedly, all counties within a state report all the cases to the State Police of the state, which in turn keep a database of the results. In reality, a percentage of the records either don’t reach the State Police, or get there and are questioned or rejected, sent back to the county and then never returned back to the State Police. A Statewide report is ok for an overall, broad view, but because of the above we do not recommend them as representing a highly accurate type search. At last count, forty-eight states are available from us for reports. Some are from State Police, some from Administration of the Courts, others various information sources. They vary in time from 1 day up to a few weeks with some states having very strict laws governing their distribution. Some require fingerprinting while others have special forms. All require a signature release from the applicant. We feel the records retrieved are not thorough or up to date with missing cases and dispositions likely. Therefore, we do not endorse or guarantee the results received. We return to you the state searched, file date, case number, offense, disposition, and sentence. We need from the applicant their full name, address, date of birth, and social security number. An important part of performing a background check is accessing the applicants driving record history. If they ever drive a company vehicle or use their vehicle on company time you can be held liable for any misfortune that happens. The driving record gives you an up to date history of the violations or accidents the applicant has been involved in. This helps in your hiring decision if the job entails driving. The Department of Transportation requires drug screening for employees in the airline, mass transit, railroad, shipping and trucking industries. Other companies, without drivers, have drug testing performed to reduce insurance and create a safer workplace. This can also improve the productivity and decrease absenteeism among employees. We can supply 5-panel D.O.T. or non – D.O.T. drug screens, 10-panel drug screens, along with either blood or urine alcohol testing, if needed. Integrity Validations Inc can create a D.O.T. or non – D.O.T. program for your company. We can randomize your employee list at no additional charge. There are no set-up costs, or monthly costs to contend with, only the cost of the test. We supply you with certified Chain of Custody forms and have available more than a thousand-plus sites for your employees to be tested at. The forms we supply meet State and Federal regulations, (SAMSHSA). All costs, which include the collection, specimen transportation, medical review officer services, and support, are included in our pricing. Please don’t hesitate to call us so we can help you create a drug policy for your company that will make you more compliant with the laws of today. It’s now known a very high percentage of job applicants either lie or highly exaggerate their employment, education, or types of license or certificates held. We can verify whether what an applicant tells you is true or misleading. Our verification types are Education, Basic or Full Employment, Professional License and References. We can also check the Sexual Offender Registries, Health and Human Services, to name a few, or any other types you may request. Just give us a call and we will do our best to fulfill your needs. Our education verifications verify the highest level of education achieved. We need the name of the applicant, social security number, and institutions attended along with the attendance dates. The basic employment does dates, position, and salary while the full employment does considerable more. We verify dates of employment, position held, responsibilities of the employee, quality of his or her work, productivity, reliability, honesty, integrity, interpersonal skills, strengths, weaknesses, reason for leaving along with the eligibility for rehire. In certain instances employers will not answer every particular concerning an employee, but we have had high success ratios with our interviews, and return the information to you, if available. On both employments we require the name of the applicant, social security number, employers name and location, along with the date of employment and position held by applicant. As stated, we also do Professional License Checks, which require the applicants name; state the license is held in, the license type and number. Reference Checks are normally performed when needed, if the Employment Check cannot be performed because of discretion, (employee still active at particular workplace), or if references are wanted in addition to employment. To perform this search we need the reference’s name along with reliable contact number. We now supply a search which is a very high quality Sexual Offender Search. This search is a higher level of search of Sexual Predators then what you would find on the regular web; and also includes Violent Offenders. This is now available within 45 states. We require the name, date of birth, and present zip code of person searched. Please feel free to give us a call for any of your verification needs. More and more companies are relying on databases for their background checks, which have proven to be inaccurate and unreliable sources. Most of the information is out-dated and often times completely wrong altogether…and who does this really effect? YOU. Your company is subject to lawsuits, your company is in new articles for making hiring decisions based off of false information, and your company is going to be more than a little inconvenienced if any of these circumstances would occur. Unlike most background research companies out there, we are thorough. We have your best interests at heart. Our name says it all….we care about Integrity. We believe you do too. Your first step in preserving the integrity of your company is to take background checks seriously and choose a reputable source that you can trust for current information. When you consider the risks of making a hiring decision without the facts…the results could be detrimental to your Company. We take the time to do things right. You can have peace of mind knowing we will do everything possible to perform quality background checks…no strings attached. Trust Integrity Validations for your needs. We stand by our name and promise to deliver Integrity every time.